A lot can be accomplished in a year. Just ask any of the Harvard Business School (HBS) Leadership Fellows and the organizations that host them. 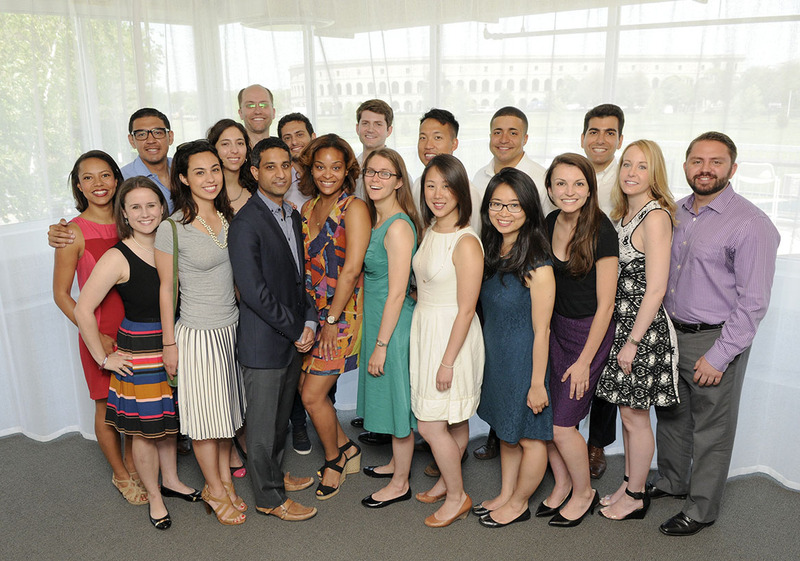 The Leadership Fellows program is based on Professor Michael Porter’s vision of developing a network of HBS graduates with cross-sector experience who are committed to addressing societal issues throughout their careers. The Fellowship is a two-way commitment in which graduating students are offered a once-in-a-lifetime opportunity to experience high-impact management positions in nonprofit and public sector organizations for one year at a competitive salary. At the same time, those organizations leverage the experience, energy, and strategic and analytical skills of MBAs in roles that produce immediate results and build long-term capacity. “Our Leadership Fellows have taken on some of our most important and strategic projects, and made a lasting impact on our organization,” said Gerald Chertavian, Founder and CEO of Year Up, one of the more than 60 partner organizations to host a Fellow since the program began. “At its best, having a Fellow is catalytic,” added Sasha Dichter, Chief Innovation Officer at Acumen. The experience is often catalytic for Fellows, as well, as they are afforded a high degree of responsibility in a short time frame, and a chance to develop and refine their leadership skills within complex and dynamic environments. Whether Fellows stay on with their sponsoring organizations, move to another social enterprise, or enter the private sector, past participants agree that the Leadership Fellows program is critical to their ongoing development as leaders who make a difference in the world. Harvard Business School is grateful for the generosity of our donors who have been vital to the HBS Leadership Fellows program: the James A. Attwood, Jr. Fellowship Fund, Richard and Helen Bibbero Fund, David J. Dunn Fund, Horace W. Goldsmith Foundation/Richard L. Menschel Endowment, Jorge Paulo Lemann Fund at Harvard Business School, Richard Lumpkin Dean's Discretionary Fund, Margaret T. Morris Foundation Endowment, Carl and Lily Pforzheimer Foundation Fellowship, Michael E. Porter Leadership Fellowship and John C. Whitehead Fund for Not-for-Profit Management. The Social Enterprise Initiative at HBS applies innovative business practices and managerial disciplines to drive sustained, high-impact social change. It's grounded in the mission of Harvard Business School and aims to inspire, educate, and support leaders across all sectors to solve society’s toughest challenges and make a difference in the world. Since 1993, HBS faculty have researched and written over 800 social enterprise books, cases and teaching notes. Today, more than 90 faculty members engage in research projects, course development, and other activities. Research forums and conferences sponsored by the Social Enterprise Initiative have examined a wide range of topics, including Nonprofit Strategy, Business Leadership in the Social Sector, Consumer-Driven Healthcare, Global Poverty, and Public Education.